The audit objective was to assess the effectiveness of the Australian Federal Police's management of its use of force regime. 1. The Australian Federal Police (AFP) is the primary law enforcement agency through which the Australian Government enforces Commonwealth laws. Established by the Australian Federal Police Act 1979, the AFP’s functions include the provision of policing services in relation to Commonwealth laws and property, and the safeguarding of Commonwealth interests. 2. The AFP’s 4231 sworn appointees (62.7 per cent of a total of 6751 employees)1 may be called upon to use force when exercising their duties to safely resolve situations. In doing so, they are required to focus on ongoing tactical communication and conflict resolution skills and strategies to prevent the escalation of situations to one where force must be applied. Where force is required, options available to AFP appointees include their hands, batons, chemical agents and firearms. Training on the use of force regime for new recruits begins during recruit training, where future appointees are prepared for their policing roles. 3. The responsibility for implementing the overarching use of force framework is shared across the AFP, with areas of activity including: executive oversight of the regime; the issuing of operational force equipment; the assessment of the medical and psychological wellbeing of appointees; the annual re-certification of an appointee’s use of force qualification; the review of incidents where an appointee has used force; and the investigation of any misconduct or complaint allegations against appointees. 4. The objective of the audit was to assess the effectiveness of the Australian Federal Police’s management of its use of force regime. have sound administrative arrangements for the management of the use of force been developed and effectively implemented? is the AFP’s use of operational force supported by effective training and renewal processes? are incidents involving the use of force effectively managed, evaluated and reported? 6. The AFP’s use of force regime, which is established under the Commissioner’s Order on Operational Safety, is designed to ensure that appointees operate to de-escalate potential conflict situations within the approved operational safety model. The effectiveness of the regime is, however, undermined by weaknesses in the AFP’s implementation of key elements, including: poor quality reporting to the Working Group overseeing the operation of the regime; an inconsistent approach to the delivery of the mandatory annual appointee re-certification process; the absence of a structured continuous improvement approach to training and re-certification; incomplete records of trainer competencies; and insufficient supervisor oversight of use of force incident reporting. 7. Further, the operation of the regime is underpinned by training and equipment records that the AFP has acknowledged to have data integrity issues. These data integrity issues adversely impact on the AFP’s ability to accurately monitor the effectiveness of the use of force regime and demonstrate compliance with the Commissioner’s Order. 8. The AFP has recognised the need to strengthen the delivery of elements of its use of force regime, with a number of projects underway that are designed to address identified weaknesses. 9. The AFP clearly assigned responsibility for oversight of the use of force regime, initially through a Committee and now by a National Manager supported by a Working Group, but the extent to which oversight functions have been discharged has been mixed. While the Committee was responsive to issues concerning direct threats to appointees, less attention was given to issues relating to the ongoing maintenance of operational force equipment and procedural issues were often not resolved in a timely manner. 10. The data that is used by the AFP to inform its oversight of the use of force regime is not sufficiently robust, with incidents consistently under-reported over a number of years. Despite under-reporting being identified as early as March 2013, the issue is yet to be addressed. Further, the limited analysis of reported use of force data across the AFP and by individual functional areas has reduced the effectiveness of oversight arrangements and undermined the value of the data in identifying areas for improved operational performance. 11. The requirements governing an AFP appointee’s use of force have been clearly established in the Commissioner’s Order on Operational Safety (CO3), which has been made available to all staff on the AFP’s internal website. Appointees surveyed by the ANAO, considered that the Commissioner’s Order provided a clear explanation of use of force options and the circumstances in which they can be used. 12. While the AFP maintains corporate risk registers at three levels (entity/function/program), those risks arising from inappropriate use of force and equipment allocation have not been systematically identified with treatments documented. There is also scope for the AFP to improve its risk management practices, particularly in relation to the documentation of risk treatments, the timeliness of review, the assignment of risk ownership and approaches to mitigate risks to an acceptable level. 13. The AFP’s annual process to re-certify appointees to use force—an Operational Safety Assessment—varies by region and is not sufficiently standardised, including both the instruction given as part of the assessment and the assessment documentation, to ensure that all appointees demonstrate a similar level of skill and competence. Further, the AFP does not collect sufficient information regarding assessment training outcomes to identify emerging issues or changing training needs of appointees, and required quality assurance reviews have not been undertaken. 14. The records retained by the AFP on qualified trainers, and those aspects of training they are certified to instruct, are not sufficiently detailed or accurate to underpin effective oversight of this aspect of the use of force regime. As a result, the AFP is not well placed to determine whether there are sufficient trainers in required competencies to instruct its appointees in all required use of force skills and operational force equipment in all locations. 15. The AFP has recently addressed a key weakness in the monitoring of the currency of appointees’ use of force qualifications, with supervisors now receiving timely notifications of the expiry of their subordinates’ use of force qualifications. Prior to October 2015, appointees were required to self-report expiring qualification to their supervisors, which did not support appropriate oversight of appointee qualifications. There is scope to further strengthen monitoring arrangements under the use of force regime in relation to the exemption of appointees from qualification requirements for medical reasons. 16. The AFP has established appropriate guidance covering the issuing of operational force equipment to appointees, but weaknesses in applying the guidance has resulted in appointees being issued or retaining equipment where they are not qualified to do so. The ANAO’s analysis of AFP records indicated that 7.1 per cent of appointees were issued or retained equipment in the absence of the requisite qualification. In response to these findings, the AFP indicated that the results could partly be attributed to data integrity issues within its training and asset databases. Nevertheless, the presence of data integrity issues limits the AFP’s ability to accurately monitor the effectiveness of the use of force regime. 17. The AFP does not assess whether all incidents are reported by appointees as required. All use of force incidents are to be recorded in the AFP’s PROMIS database (unless appointees are in a location without access to PROMIS). The ANAO’s analysis indicated that a large number of incidents were reported outside of the PROMIS database, with these reports not analysed or included in corporate reporting. As a result, the relevant oversighting Committee/Working Group has not received complete data on the total number of use of force incidents reported. 18. The AFP’s database that holds use of force incident reports does not record whether a supervisor has reviewed or endorsed submitted reports. The absence of appropriate oversight can impact on the completeness or accuracy of incident reports, with the ANAO’s analysis of use of force reports identifying 740 reports exhibiting quality issues (including reports where a narrative was not included and 70 reports that stated that not all appointees involved in an incident were use of force qualified). Further, the ANAO’s analysis indicated that there were 122 appointees who used force while they did not have the relevant qualification at the time, with no record of management action taken. 19. Overall, complaints regarding the inappropriate use of force are well managed by the AFP. There is scope for matters covered when reviewing complaints to be expanded, such as currency of appointees’ use of force qualifications, and better documentation around those matters referred to the oversighting Committee/Working Group for review or action. Further, analysing trends arising from complaints data would provide a useful input into operational safety training. The ANAO recommends that the Australian Federal Police address data integrity issues and improve its analysis and internal management reporting of use of force incidents, complaints and injuries. collect structured feedback from participants on the Operational Safety Assessment process and analyse this feedback to identify potential areas for improvement. The ANAO recommends that the Australian Federal Police improve the collection and management of training workforce data and strengthen its arrangements for the maintenance of required training capability to underpin the effective delivery of the use of force regime. The ANAO recommends that the Australian Federal Police strengthen arrangements to manage the issuance and removal of appointee’s operational force equipment to ensure that the risk of inappropriate issuance or retention is effectively managed. The ANAO recommends that the Australian Federal Police ensure that supervisors document their review of incident reports and any management action taken, to demonstrate compliance with the requirements established under the Commissioner’s Order on Operational Safety (CO3). 20. The Australian Federal Police’s summary response to the report is provided below. 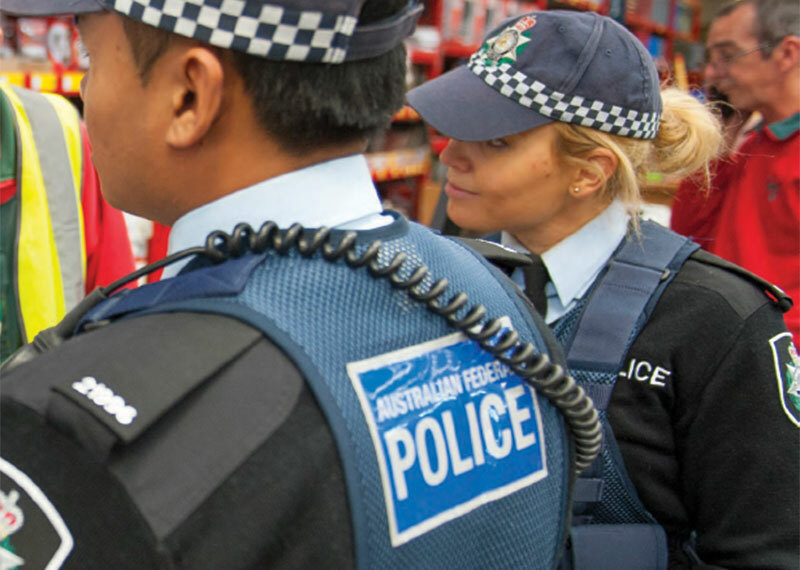 The Australian Federal Police (AFP) is strongly committed to ensuring its use of force (UoF) regime is managed and conducted in an effective and efficient manner and in compliance with its Operational Safety and Security requirements. The AFP is addressing the audit findings as a priority by a range of cross agency activities, projects and internal audit activity as acknowledged in the report. The AFP has implemented improved UoF reporting and a nationally consistent operational safety curriculum, strengthened its continuous improvement framework to include quarterly reviews of training practices and materials, and corporate system improvements to improve data integrity. Data integrity is also being improved through enhanced monitoring of supervisor and member compliance with record keeping obligations. Other operational UoF arrangements are being further reviewed and strengthened in association with the current update to Commissioner’s Order 3 Operational Safety. The AFP notes the report’s positive findings that the AFP has established a governance framework to administer its use of force regime with responsibilities and reporting well defined and understood by sworn appointees, and that use of force complaints are well managed. It is also pleasing to see that the majority of appointees surveyed by the ANAO agreed that the operational safety assessment imparted sufficient skill and knowledge to effectively manage use of force. The AFP agrees with the five audit recommendations. 1.2 The Australian Federal Police (AFP) is the primary law enforcement agency through which the Australian Government enforces Commonwealth laws. Established by the Australian Federal Police Act 1979, the AFP’s functions include the provision of policing services in relation to Commonwealth laws and property, and the safeguarding of Commonwealth interests. The AFP also provides community policing services to the Australian Capital Territory through its community policing arm (ACT Policing), and contributes to international capacity building and stability missions through an International Deployment Group. A Specialist Response Group supports all policing functions by providing appointees trained in specialist tactics and equipment to assist in high-risk situations (for example, executing high-risk arrest warrants or responding to armed or violent offenders). 1.3 Sworn AFP appointees3 may be called upon to use force when exercising their duties to safely resolve situations. As at 30 June 2015, the AFP reported that 4231 of its 6751 employees (62.7 per cent) were sworn police or sworn protective security officers (collectively termed ‘appointees’). The use of force options available to AFP appointees includes police presence4, their hands, batons, chemical agents and firearms. 1.4 The AFP’s use of force regime is governed by the Commissioner’s Order on Operational Safety (CO3) (Commissioner’s Order).5 The use of force regime is underpinned by an operational safety principles model that focuses on ongoing tactical communication, and conflict resolution skills and strategies, in order to prevent the escalation of situations to one where force must be applied. As illustrated in Figure 1.1, the AFP considers the use of force in an operational context to be dependent on the appointee’s continual assessment of the situation. Note: ‘IARD’ represents Immediate Action Rapid Deployment, where appointees are trained to search for the offender in certain situations, instead of cordoning and containing the area until specialist teams arrive. excessive force being force beyond that which is considered reasonably necessary in the circumstances of any particular incident. This includes any force when none is needed, more force than is needed, or any force or level of force continuing after the necessity for it has ended. 1.6 In addition, the force used by AFP appointees may be either ‘less lethal force’ or ‘lethal force’. Less lethal force is considered to be highly unlikely to cause death or serious injury when properly applied, whereas a lethal force option is likely to cause death or serious injury.6 The Commissioner’s Order states that appointees may use force in the course of their duties for a range of purposes, including: defending themselves or another person; protecting property; effecting an arrest; and where authorised by law. 1.7 Standard operational force equipment includes: one of three models of Glock pistol (model 17, 19 or 26) and holster; oleoresin capsicum canisters (OC spray, commonly known as capsicum spray); a baton; and handcuffs. Some AFP officers and teams are also trained in, and issued with additional equipment, including: non-standard issue firearms7 and munitions (such as launched tear gas projectiles); conducted energy weapons (CEWs, commonly known by the brand name ‘Taser’); and shields. 1.8 The AFP defines the ‘use’ of operational force equipment in various ways, depending on the equipment type, as shown in Table 1.1. 1.10 The Operational Safety Assessment comprises an online test and two days’ assessment of an appointee’s handling and marksmanship with their issued firearm, and deployment of defensive tactics, OC spray, and handcuffs. The assessment is to culminate in a simulation, where appointees are to use appropriate physical and non-physical force options. If an appointee fails the assessment they are considered to no longer have their use of force qualification and must return their operational force equipment as soon as practicable.9 The ANAO’s analysis of the AFP’s training records indicates that 663 Operational Safety Assessment courses were conducted from January to October 2015. 1.11 AFP appointees who use force in their day-to-day work are required by the Commissioner’s Order to report any incident prior to the end of their shift. These reports are to be submitted in the Police Real-time Online Management Information System (PROMIS) database. The submitted report is to be reviewed by the appointee’s supervisor for endorsement and to identify any issues relating to the misuse of force or general misconduct. Any appointee who does not complete and submit a use of force report after an incident is considered to be in violation of the Commissioner’s Order, and may be reprimanded and/or investigated. 1.12 In the period from January 2010 to December 2015, PROMIS records indicated that 36 220 individual force options were used in 13 609 incidents. Appendix 2 includes the force options reported annually by AFP appointees for the same period. 1.13 In addition to internal incident reporting regarding the exercise of use of force options, concerns regarding the use of force can also be raised in both internal and external complaints (from members of the public, or other state or federal government departments). The AFP’s Professional Standards Unit is responsible for reviewing and categorising all complaints received about the AFP. Depending on the circumstances, a complaint allegation or conduct issue regarding an appointee’s use of force would be categorised as either a Category 2 (minor misconduct) or Category 3 (serious misconduct) breach.10 The AFP advised the ANAO that, of the 3775 alleged complaint cases received between 2010 and 2015, 299 related to appointees’ use of force (7.9 per cent). 1.14 Prior to July 2015, the AFP’s use of force regime was overseen by an Operational Safety Committee, which governed all operational safety training, administration and related policy issues. The Committee was also responsible for approving procedures for using and storing AFP operational force equipment, training curricula and certification of operational safety trainers. Since July 2015, an Operational Safety and Security Working Group has been assigned responsibility for advising the National Manager Support and Capability on these matters. In addition, to this Working Group and the National Manager, there are a number of AFP stakeholders in the use of force regime, as shown in Figure 1.3. There is also no formal mechanism that ensures [appointees] hand back firearms when their Use of Force qualifications have lapsed or when they are on extended leave, as required by CO3. The report reconciled the executive reporting of lapsed qualifications with the asset register and determined that, at one point in time, 84 officers recorded as holding firearms did not have a current use of force qualification. The AFP informed the ANAO that a project has been established to address the issues raised in the internal audit report. 1.17 In addition to the annual review of complaints management, the Commonwealth Ombudsman has also reviewed aspects of the use of force by the AFP, for example in the 2012 report Roll out of Tasers to ACT Policing General Duties Sergeants. The report examined the use of force reports for incidents involving CEW use by ACT Policing sergeants and found the reports to be comprehensive. The Ombudsman encouraged future use of force reports to include information on the de-escalation and negotiation techniques employed and what other use of force options were considered, as some but not all reports reviewed included these details. 1.18 The objective of the audit was to assess the effectiveness of the Australian Federal Police’s management of its use of force regime. 1.20 The audit focused on the use of force by AFP appointees, regardless of location, including those stationed overseas. The ANAO reviewed AFP documentation, observed training courses, attended the July 2015 Operational Safety Committee meeting and February 2016 Operational Safety and Security Working Group meeting, interviewed key AFP personnel and relevant stakeholders, including representatives of the Commonwealth Ombudsman, and state and territory police forces. 1.22 The audit was conducted in accordance with the ANAO’s Auditing Standards, at a cost to the ANAO of approximately $460 000. This chapter examines the administrative arrangements surrounding the AFP’s use of force regime, including executive oversight and internal management reporting, guidance material, and risk management arrangements. The AFP has established governance arrangements for its use of force regime. There is appropriate awareness of the AFP’s principal guidance document—the Commissioner’s Order on Operational Safety (CO3) (Commissioner’s Order)—with appointees considering that it provided a clear explanation of force options and the circumstances in which these options were to be used. The responsibility for oversight of the regime was assigned, with the Operational Safety and Security Working Group (replacing the former Operational Safety Committee) meeting quarterly to monitor the operation of the regime and advise the National Manager Support and Capability. The Commissioner’s Order has also nominated a Coordinator Operational Safety and Protection to oversee aspects of the operation of the regime. While the former Committee, which was in place when audit fieldwork was undertaken, was responsive to issues concerning direct threats to police, issues relating to the maintenance of operational force equipment and improving management reporting had not been sufficiently addressed. In particular, the reporting provided to the Committee on incidents, complaints and injuries was not sufficiently detailed, nor accurate to enable members to effectively discharge their responsibilities. While the AFP has established risk management registers that identify a number of key risks to the delivery of policing activities, there is scope to improve the robustness of the registers—both to comply with internal risk assessment requirements and also to systematically identify and treat risks associated with the misuse of force and the issuing of operational force equipment. The ANAO has made one recommendation aimed at improving the quality of internal reporting to the Operational Safety and Security Working Group to better inform its oversight of the use of force regime. Does the AFP have appropriate internal oversight arrangements to manage its use of force regime? The AFP clearly assigned responsibility for oversight of the use of force regime, initially through a Committee and now by a National Manager supported by a Working Group, but the extent to which oversight functions have been discharged has been mixed. While the Committee was responsive to issues concerning direct threats to appointees, less attention was given to issues relating to the ongoing maintenance of operational force equipment and procedural issues were often not resolved in a timely manner. reviewing data relating to injuries caused by operational safety training or practice and recommending changes to improve the risks. 2.2 The records of meetings held in the period from March 2013 to July 2015 indicated that the Committee responded in a timely manner to direct threats to appointees or information gathered relating to operational force equipment options. However, there were a number of important issues that had not been appropriately addressed. These issues included: the absence of a structured maintenance program for conducted energy weapons (see Case Study 1 later in this section); integrity issues with the quarterly reporting data (discussed further from paragraph 2.12); and the absence of a quality assurance process to ensure that use of force reports were submitted and accurately reflected the use of force incident (discussed further from paragraph 4.11). 2.3 As part of a wider internal review of the AFP’s Committee structure in 2015, the former Committee was replaced in October 2015 by the Operational Safety and Security Working Group (the Working Group). The Working Group has similar responsibilities to the previous Committee, but is chaired by a Manager (Senior Executive Service Band 1). The Working Group, in contrast to the earlier Committee, is not a decision-making body. Its role is to advise or make recommendations to the National Manager Support and Capability, who is the delegate for decisions and approvals that are outside the authority of the Working Group. 2.5 Since 2011, the AFP has operated a fleet of several hundred conducted energy weapons (CEWs, often referred to by the brand name ‘Taser’). These CEWs have been issued to appointees at the rank of Sergeant that are stationed at airports or assigned to ACT Policing. They are also issued to selected members of the Specialist Response Group and Specialist Support Teams.15 Since March 2013, the AFP has been considering the issuance of CEWs to staff below the rank of Sergeant. However, ongoing reliability and maintenance issues identified by the AFP over recent years and the lack of resolution of these issues raises questions regarding the broader deployment of this equipment (see Case Study 1). The AFP has been aware of the absence of a scheduled maintenance program for CEWs since 2012. A risk assessment conducted in 2015 noted that the continued absence of a maintenance program could result in an increase in the unit failure rate (from two per cent to 80 per cent). In February 2016, the AFP advised the ANAO that two Senior Armourers had received updated service and maintenance training accredited by the manufacturer and that new CEW service and maintenance procedures have been included within the Armoury Manual. The ANAO’s review of the manual identified that it did not address all longstanding maintenance issues. For example, the manual does not establish a requirement for the recording of software updating of individual CEWs or establish processes to provide assurance that required maintenance procedures are being followed. Note a: The inbuilt display provides status information to the operator, such as battery charge level and deployment mode, and confirms the CEW is operational. Note b: The manufacturer warranty for the AFPs CEWs requires maintenance at regular intervals to update the device software and check for faults in operation. Is oversight of the operation of the use of force regime informed by robust performance data? The data that is used by the AFP to inform its oversight of the use of force regime is not sufficiently robust, with incidents consistently under-reported over a number of years. Despite under-reporting being identified as early as March 2013, the issue is yet to be addressed. Further, the limited analysis of reported use of force data across the AFP and by individual functional areas has reduced the effectiveness of oversight arrangements and undermined the value of the data in identifying areas for improved operational performance. Workplace Health Safety and Rehabilitation Team (on workplace injuries that are related to an appointee’s use of force). 2.8 In March 2013, the former Committee considered that the provision of three separate data sets did not provide a sufficiently consolidated picture of how the regime was operating, and that analysis of trends from complaints and incident data would provide more useful insights. While a new reporting format was proposed for consideration by the Committee at its September 2013 meeting, this did not occur. 2.9 The Operational Safety and Protection report was amended in July 201517 to include standalone analysis for the quarter on: the functional area reporting incidents; the operational force equipment used by all AFP appointees; and the physical force options that were used by AFP appointees. The report presented the number of incidents of the same quarter for the preceding two years. 2.10 Apart from the quarterly report to the oversight Committee/Working Group, the AFP does not provide use of force incident data analysis to functional areas across the organisation to inform management oversight. For example, use of force incident trend analysis is not provided to ACT Policing, despite this function generating a significant number of incident reports.18 Given the importance of use of force data to inform operational activities, such as the operational force equipment used or the geographical distribution of incidents, the AFP should strengthen its current reporting arrangements to ensure that analysis of relevant operational data is provided on a regular basis to functional areas. 2.11 In addition to the quarterly reporting, the use of force by all AFP appointees in the ACT region (not just that used by ACT Policing) is included in the ACT Policing Annual Report. This external report includes monthly use of force statistics on the incidents involving batons, chemical agents, CEWs, firearms and handcuffs. Since this reporting began in 2011–12, no reports have listed the number of incidents in which physical force was the only force used (for example, striking or blocking an offender without using handcuffs or other equipment). The use of solely physical force accounts for approximately 500 incidents each year across the AFP. By limiting the external reporting on use of force incidents, there is reduced transparency of AFP operations. 2.12 Integrity issues relating to the data held in PROMIS and the data extracted by the corporate reporting system have been raised within the AFP on a number of occasions over recent years. Initially these issues were brought to the attention of the Operational Safety Committee in March 2013, at which time the Committee agreed to consult with the AFP’s Information and Communication Technology area to propose a solution to the Strategic Investment Committee. The shortfalls of the Corporate Reporting System (and PROMIS) were further highlighted recently when [Operational Safety and Protection] were asked to provide data on TASER use throughout the AFP for Senate Estimates. There were quite strict guidelines imposed on [Operational Safety and Protection] to provide this information and it took some time to extract the data. It could prove extremely embarrassing for the AFP in the future if asked to provide information to government and our systems cannot do this in a timely or accurate manner. 2.14 In November 2014, the integrity of reported data was again brought to the attention of the Operational Safety Committee. While the AFP did not retain evidence to indicate actions taken to respond to the initial report of data integrity issues in March 2013, Committee meeting minutes indicated that opportunities to improve reporting of training and equipment data through Project Atlas19 had been explored since November 2013. In late April 2015, the former Committee was advised that the work required to improve the integrity of the reported data relating to the use of force was within the scope of Project Atlas and was being progressed. In response to this advice, the Committee closed the outstanding action item. 2.16 To better understand the extent of data integrity issues and the resulting impact on reporting to the former Committee, the ANAO compared the incident figures reported to the Committee in the period from January 2013 to June 2015 to data extracted directly from the PROMIS database. In relation to the nine quarterly reports examined, reported data under represented on average 1.2 per cent of operational force equipment use options and 1.5 per cent of physical use options each quarter. Some individual use of force options did, however, indicate much higher variation, as shown in Table 2.1. Due to a range of factors, data can vary between database holdings and performance reporting. However, as the AFP has not set acceptable tolerances for variability in reported equipment and physical force incident data, it is unclear whether the variability identified by the ANAO’s analysis is acceptable to AFP management. Note a: The ANAO excluded the January to March 2015 quarter from this analysis, as incident report numbers for this period were not provided to the former Operational Safety Committee. Note b: ‘Chemical agent’ refers to both OC spray and tear gas related incidents. Note c: ‘Block’ is a defensive manoeuvre to protect the appointee from injury. Source: ANAO analysis of use of force reports in PROMIS and quarterly reporting provided to the former Operational Safety Committee. 2.17 At its February 2016 meeting, the Operational Safety and Security Working Group received a revised reporting supplement that had been prepared independently of the corporate reporting system. The new reporting supplement is more adaptable than the previous reporting and relatively easy to reconfigure where management requests alternative analysis to be reported to the Working Group. Data integrity remains an issue. 2.18 Since 2015, the data reported to the oversight Committee/Working Group by the Professional Standards Unit has included standalone analysis on all use of force complaints received by the AFP, comparing the results to the same quarter for the preceding two years in relation to: the particular breach of the Commissioner’s Order; the nominal functional area of the member who is alleged to have made the breach; and the finding of finalised breaches. As the categories of misconduct were amended in July 2013, the report notes that it is difficult to determine longer-term trends in complaint categories, with the data for the pre-July 2013 quarters left blank. The report also provides details on the complaints established during the quarter. 2.19 The ANAO reviewed the use of force complaints received and the use of force reports submitted by AFP staff from 1 January 2010 to 31 December 2015.21 The ANAO’s analysis found that, on average, 2.1 use of force complaints are received for every 100 use of force incidents (with a yearly range of 1.7 in 2011 to 2.6 in 2010). However, some functional areas had a consistently higher complaint rate than the average. For example, the Protection function had an average across the same time range of 11.1 complaints for every 100 use of force incidents (peaking in 2014, when the Protection function reportedly used force 17 times but received eight complaints). While there may be operational reasons for some functional areas receiving a greater number of complaints than others, the ANAO’s analysis indicates that there is scope for the AFP to better use existing data to inform management and operational decision-making, including options for additional training. 2.20 The reporting to the oversight Committee/Working Group by the Workplace Health Safety and Rehabilitation Team has remained largely consistent since 2013. The report includes analysis of injuries sustained during the quarter by activity, functional area and workplace category.22 In addition, standalone analysis is provided (for the year to date compared to the past two complete calendar years) on: the type of injury; reported injuries by workplace category; and lodged claims by workplace category. The report also includes details on the compensation claims lodged for the quarter. 2.21 The ANAO examined the use of force related injuries reported to have occurred during 2011–15. The ANAO’s analysis indicated that there had been a 24 per cent decrease in total reported injuries between 2011 and 2015, with total injuries steady since 2013. The majority of injuries in 2015 were incurred during training (51 per cent), an increase on the 38 per cent of injuries in 2014 but similar to the results of 2011 and 2012. 2.22 At the July 2015 Committee meeting, it was noted that there had been a significant increase in the use of force training incidents and it was assumed by the Committee that this was caused by a higher training tempo. However, the AFP has not analysed the average number of injuries for each use of force training course or assessment, and as a result is not well positioned to accurately determine the cause of the increase or address any emerging training related safety issues. 2.23 The ANAO recommends that the Australian Federal Police address data integrity issues and improve its analysis and internal management reporting of use of force incidents, complaints and injuries. 2.24 The AFP has commenced work to improve data integrity, analysis and reporting on use of force incidents, complaints and injuries. New reporting arrangements to the Operational Safety and Security Working Group (OSSWG) commenced in early 2016 including trend analysis, regional breakdowns to better inform the group. Reporting and analysis and actions will continue to be enhanced. Changes have been made to UoF forms and review processes and timeliness of reporting to improve data recording and to enhance data integrity. The AFP has undertaken a comprehensive comparative analysis of UoF complaint data to identify and implement improvements to practices and systems. Has clear guidance been provided to appointees on the use of force? The requirements governing an AFP appointee’s use of force have been clearly established in the Commissioner’s Order on Operational Safety (CO3), which has been made available to all staff on the AFP’s internal website. Appointees surveyed by the ANAO, considered that the Commissioner’s Order provided a clear explanation of use of force options and the circumstances in which they can be used. 2.25 The Commissioner’s Order establishes the principles and processes governing the use of force by AFP appointees. Non-compliance with the provisions of the Commissioner’s Order may constitute a breach of AFP professional standards and be dealt with under Part V of the Australian Federal Police Act 1979.23 Consequences may include formal warnings, coaching or mentoring, restricting duties or termination of employment. 2.26 The Commissioner’s Order includes, but is not limited to, the circumstances when officers may use force, the types of operational force equipment available to AFP appointees and teams, requirements for reporting use of force incidents, and annual certification assessments. The ANAO compared the Commissioner’s Order against domestic and international standards governing the use of force24, and found the guidance generally aligned to the standards, except it did not state how appointees were to manage the risk of using force against a vulnerable person. 2.27 The ANAO’s survey of 354 AFP appointees included two questions seeking information regarding their level of confidence in applying the requirements of the Commissioner’s Order and the relevance of the standard to their role. Ninety-eight per cent of respondents strongly agreed or agreed with the statement ‘I feel confident applying the Commissioner’s Order on Operational Safety (CO3) in the course of my duties’, and 97 per cent strongly agreed or agreed with the statement ‘the information in the CO3 is relevant to my role’. 2.28 To enable public accountability and transparency, the Information Publication Scheme requires entities under the Freedom of Information Act 1982 to make available on their website ‘accurate, up-to-date and complete’ information. The Commissioner’s Order has been made available on the AFP website, with some operationally sensitive elements redacted by the AFP. However, the redacted version that has been made available on the AFP website is dated 1 June 2012. The version that is available on the AFP’s intranet and referenced by AFP appointees is dated 25 November 2015. The AFP should ensure that material relating to the use of force regime that is provided publicly is current. Are risks associated with the misuse of force adequately identified and managed? While the AFP maintains corporate risk registers at three levels (entity/function/program), those risks arising from inappropriate use of force and equipment allocation have not been systematically identified with treatments documented. There is also scope for the AFP to improve its risk management practices, particularly in relation to the documentation of risk treatments, the timeliness of review, the assignment of risk ownership and approaches to mitigate risks to an acceptable level. 2.30 As at April 2015, the AFP’s Strategic Risk Profile did not include the inappropriate use of force as a separate risk. The excessive use of force is listed as a source of risk for one of the 18 identified risks (Risk 2.3: loss of life/injury to other people during an AFP intervention—which is rated as ‘Significant’). The identified treatments for this risk are primarily the arrangements governing the use of force regime as outlined in the Commissioner’s Order, such as the annual certification assessment process—issues relating to the robustness of this process are outlined in Chapter 3. 2.31 There are four operational areas within the AFP (ACT Policing, the Aviation function, the International Deployment Group and the Protection function), that have reported the highest number of use of force incidents (see Chapter 4). Neither the Aviation nor Protection functions listed the inappropriate use of force as a source of risk in their risk registers. In contrast, ACT Policing and the International Deployment Group listed the use of force as a source of risk for one risk (‘loss of life/injury to other people…’, which was rated as ‘Significant’ in both risk registers). 2.32 The inappropriate management of operational force equipment, such as the retention of operational force equipment on the cessation of employment or appointees with lapsed certification for the equipment in their possession, was not identified as a source of risk in any AFP risk register examined by the ANAO. The extent of the risk exposure facing the AFP in this area was highlighted in a March 2015 internal audit report that found the governance arrangements for assets had not been adhered to and that 20 employees in the preceding three financial years had ceased employment with the AFP while still in possession of controlled items27 (the AFP’s issuing of operational force equipment items is discussed from paragraph 3.37). 2.33 The AFP’s risk management guidance materials specify that risk registers: should detail treatments to reduce all significant, high and critical risks; must be reviewed at least biannually; dates are to be allocated against each treatment; and risk documentation should identify the owner of each risk. the template and corporate risk registers examined did not contain any mechanism for identifying the owner of each risk, only the owner of each treatment. 2.35 Across the six registers examined by the ANAO, there were significant areas of non-compliance with the established risk management guidance. To provide assurance to the AFP Executive that risks are effectively managed, the AFP should review all risk registers against established requirements and update registers where necessary. Further, the AFP should strengthen governance arrangements for risk management practices to provide an appropriate level of ongoing assurance that risk management practices are compliant with established procedural requirements. This chapter examines the arrangements that the AFP has in place to train its appointees in the use of force and re-assess appointees’ ongoing suitability to use force in an operational environment. All AFP recruits receive initial training as part of a structured program delivered by the AFP College in Canberra. The subsequent annual re-certification process for use of force competencies is not nationally standardised. Further, the required quality assurance reviews of the re-certification process have not been undertaken and insufficient information is collected by the AFP to determine the extent to which appointees are effectively trained or if training continues to meet operational requirements. In addition, the decentralised approach to managing the Operational Safety Trainers has led to the inconsistent annual assessments, and trainer records that indicate some AFP locations do not have access to trainers with the necessary competencies to instruct appointees in all required use of force skill sets. There are also weaknesses in governance arrangements relating to the renewal of qualifications and the appropriate issuance of operational force equipment. Prior to October 2015, the AFP’s arrangements to monitor appointee qualifications were not sufficiently mature to ensure that appointees’ qualifications were appropriately renewed, with a heavy reliance on self-reporting by appointees coupled with supervisors having insufficient visibility of expiring qualifications. With regard to the issuance of equipment, the ANAO’s analysis of AFP data indicates that 7.1 per cent of appointees were able to retain, or were issued operational force equipment, despite not having a current certification. The ANAO has made three recommendations aimed at ensuring the annual Operational Safety Assessment process is delivered consistently and is informed by performance information and feedback, improving the management of the AFP’s workforce of Operational Safety Trainers, and reviewing the processes by which supervisors assure themselves that operational force equipment issued to appointees is appropriate for their role and qualifications. 3.1 All AFP recruits are required to complete an initial training course at the AFP College in Canberra, which includes exposure to use of force concepts as part of ‘operational safety training’ (both physical force and operational force equipment such as firearms). Operational safety training comprises five weeks out of a total of 25 weeks of instruction. Following this initial operational safety training, recruits are required to complete their first Operational Safety Assessment (OSA), which, if passed, permits them to use force in an operational context. To retain their use of force qualification, appointees are required to undertake and pass the OSA annually. 3.2 The Operational Safety and Security Working Group (the Working Group) now has responsibility for providing guidance and advice to the National Manager Support and Capability regarding the setting of policies and procedures for use of force training and assessment. Appointees are permitted only to carry and use operational force equipment that has been approved by the National Manager Support and Capability, and in which they have a current qualification. An operational safety qualification allows appointees to be issued with a standard firearm (Glock model 17, 19 or 26), baton, handcuffs, and oleoresin capsicum (OC) spray. Additional operational force equipment (such as CEWs) requires the completion of additional assessments. Is the Operational Safety Assessment process effectively managed? The AFP’s annual process to re-certify appointees to use force—an Operational Safety Assessment—varies by region and is not sufficiently standardised, including both the instruction given as part of the assessment and the assessment documentation, to ensure that all appointees demonstrate a similar level of skill and competence. Further, the AFP does not collect sufficient information regarding assessment training outcomes to identify emerging issues or changing training needs of appointees, and required quality assurance reviews have not been undertaken. a holistic scenario assessment, in which appointees are assessed on their ability to use communication, negotiation and conflict de-escalation in addition to their use of force options to resolve a scenario intended to mimic a real-world situation. 3.4 These components are assessed over two days, which do not have to be consecutive, provided that all of the above components are completed within a 60 day period, and prior to the qualification expiry date. Should an appointee fail to complete an OSA, or have their qualification revoked or expire, the appointee must immediately return all operational force equipment to an equipment registrar (or give it to an approved custodian), and may not obtain new equipment or use force operationally until their qualification is re-certified. 3.5 Once a recruit has successfully completed training and become a sworn AFP appointee, future use of force training and re-certification is delivered by a network of Operational Safety Trainers (trainers) located in the AFP’s domestic offices. The AFP College maintains limited involvement in training and assessment conducted regionally, but maintains course attendance lists and records of completion. Until the recent changes resulting from Project Atlas, it was possible for trainers to perform ‘ad-hoc’ OSAs without notifying the College. However, all OSAs are now required to be scheduled by the College (to allow flexibility the College can schedule impromptu courses if advised), improving oversight of the volume of training delivered. 3.7 The ANAO observed OSAs delivered in Canberra and Melbourne, examined AFP training records and materials, and interviewed five trainer teams (Brisbane, Canberra, Melbourne, Perth and Sydney). The observations identified that the content, size, structure and assessment of OSAs differed markedly between regions. Table 3.1 highlights some of the variations observed by the ANAO in the assessment methodology used during OSAs. Spraying inert(a) OC spray from a canister at a target. Holding an inert OC canister without spraying, while mimicking appropriate hand and arm movements. Watching a video and responding to questions. Practice is compulsory prior to the assessment, to enable participants to refine their skills. Optional practice is allowed prior to the assessment. Practice is not allowed, with participants immediately assessed. Demonstrated by performing on a fellow OSA participant. Note a: Inert OC spray differs from operational OC spray in that the active ingredients are replaced with scented liquid. Note b: Victorian trainers advised the ANAO that inert OC canisters were not used as sufficient canisters were not available. The AFP advised that following a visit by the ACT Trainer Team Leader in August 2015, inert OC sprays were allocated and are now used in training assessments. Note c: Queensland trainers advised the ANAO that inert OC canisters have not been available in the region for around three years. Note d: Non-compliant handcuffing refers to those situations where the subject is not cooperative and is actively resisting restraint. While a dummy cannot actively resist handcuffing, AFP guidance for trainers states that to reduce the risk of injury, appointees should only handcuff each other when learning the technique, with subsequent practice performed on a dummy where available. Source: ANAO observation of AFP training and requalification sessions, and interviews with five trainer teams. 3.8 The OSA is intended to be a nationally consistent assessment, but the variations observed and documented in Table 3.1 reduce assurance that all AFP appointees complete their OSA with a similar level of skill and competence. For example, by omitting the deployment component of the OC spray assessment (in which appointees are required to hit a target) participants in Victoria and Queensland are not demonstrating the required marksmanship competency. 3.9 The practices identified in discussions with trainers are also reflected in the responses to the ANAO’s survey of OSA participants.31 Appointees surveyed indicated that they had been assessed in OC spray using a variety of methods. As a result, approximately one in three appointees had not been assessed with deployment of inert spray, despite this being a required element of the OC marksmanship assessment procedure. 3.10 In order to provide assurance that all AFP appointees are capable of effectively carrying out their assigned operational duties, it is important that they are assessed against a clear, consistent standard in accordance with the prescribed assessment requirements for each item of operational force equipment. To provide assurance regarding compliance with required assessment practices, under the Commissioner’s Order, the Working Group must authorise the quality assurance of practices (including training practices and techniques) at least every two years. However, the AFP’s records did not indicate that any quality assurance reviews had been conducted. A program of regular quality assurance reviews of training practices would better place the AFP to identify and resolve regional variations in assessment methodologies. 3.11 During the course of an OSA, trainers are to record their assessment of participants’ skills on individual hard-copy forms32, and subsequently update an electronic database with the competencies that a participant has demonstrated. Participants are assessed as either competent, or not yet having demonstrated the required competence, with the current training database not allowing an electronic record of the level of attainment. Consequently, the AFP is unable to examine trends in participant attainment (for example, the average number of attempts required to pass the firearms marksmanship assessment) over time, or use such information as a basis for assessing the effectiveness of individual trainers or training programs. 3.13 The AFP College administers a learning and development evaluation strategy that gathers feedback from AFP appointees during their recruit training, and three and 12 months after completing training (and commencing their operational role). The feedback informs a biannual training report that measures participants’ satisfaction with the training they receive. In the most recent report (July 2014 to December 2014), recruits were satisfied with the quality of training received. Similarly, the ANAO’s survey of appointees found that around 87 per cent of respondents agreed or strongly agreed with the statement ‘at the completion of my initial use of force training (eg. recruit), I felt prepared to use force’. 3.14 As the AFP considers the OSA to be an assessment activity and not a training course, feedback from OSAs is collected in a less structured manner. While trainers in all states advised the ANAO that feedback was received from OSA participants, this was typically provided verbally and was not formally collected or centrally recorded. Since mid-2015, trainers based in Canberra have recorded continuous improvement observations in a spreadsheet, allowing the implementation of measures to address these observations to be tracked and recorded. This approach has not yet been adopted in areas outside the ACT. 3.15 The feedback collected from the ANAO’s survey of appointees suggests that appointees are largely satisfied with the OSA, with approximately 87 per cent of respondents agreeing or strongly agreeing with the statements ‘I am confident that the Operational Safety Assessment (OSA) imparts sufficient skill and knowledge to successfully use force’, and ‘I believe that the standard required to pass the OSA is sufficient to meet operational requirements’. However, respondents expressed a strong preference for regular, more frequent firearms practice, with only 54 per cent of respondents agreeing (or strongly agreeing) that sufficient facilities were available to practice marksmanship, and 29 of 56 comments to the survey made reference to a need for additional firearms practice. As the majority of failures in the OSAs surveyed by the ANAO resulted from failure to pass the firearm marksmanship assessment, reducing the number of attempts required to pass the assessment would deliver efficiencies. 3.16 Training and assessments should also be informed by operational experience, to ensure that an appointee’s skills, and the standard at which those skills are assessed, remain relevant to the situations appointees may encounter. While trainers in the ACT can view the quarterly use of force statistics and trend reporting provided to the Working Group, trainers operating in other regions advised that they were not provided with access to this material. Regional trainers indicated that access to this information would be useful in ensuring training programs reflect the contemporary challenges facing AFP appointees. 3.18 The AFP accepts that aspects of our operational safety processes require improvement and a number of initiatives are already being implemented. The AFP has a nationally consistent operational safety framework. Processes and roles have been changed to ensure the consistent delivery of the national curriculum. The AFP has recently strengthened its continuous improvement framework, inclusive of the CO3 [Commissioner’s Order on Operational Safety] requirement, to include a quarterly review to quality assure all training practices and materials including implementing a Lesson Management System (LMS). The new processes and LMS will incorporate structured feedback from participants. Does the AFP have appropriate processes to monitor its Operational Safety Trainers? The records retained by the AFP on qualified trainers, and those aspects of training they are certified to instruct, are not sufficiently detailed or accurate to underpin effective oversight of this aspect of the use of force regime. As a result, the AFP is not well placed to determine whether there are sufficient trainers in required competencies to instruct its appointees in all required use of force skills and operational force equipment in all locations. 3.20 The Commissioner’s Order requires that a register of trainers be maintained of all AFP appointees who are certified as trainers. In the absence of a stand-alone register, the AFP advised that it considers the database of training records to be its trainer register. two instances where trainers that are no longer employed by the AFP remained on the database as active trainers, rather than marked as inactive and retained for historical purposes. 11 trainers issued with CEWs without a current CEW qualification. 3.23 As outlined earlier, under Project Atlas the AFP is improving the user interface to its training and equipment database, and improving the records relating to participation on training courses. A component of the project is the development of new functionality for the AFP’s training and equipment database. This new functionality, which is designed to improve accessibility to data retained in the database and required the migration of trainer data, became operational on 7 October 2015. The ANAO’s review of the migrated trainer qualification records found that eight of the nine trainers known to have delivered training were now included on the register, and the two trainers that were no longer employed by the AFP were not recorded in the database (even for historical purposes). 3.27 While notionally part of a trainer network, in practice trainers in each state operate independently, with different OSA practices and procedures (such as those discussed previously in paragraph 3.7), and with varying access to information and resources (such as inert OC spray). Trainers advised the ANAO that previously-held annual conferences, in which trainers shared good practice, had not taken place in the last three years. There would be merit in the AFP considering options to ensure consistent training delivery that reflects lessons learned across the organisation. 3.28 The ANAO recommends that the Australian Federal Police improve the collection and management of training workforce data and strengthen its arrangements for the maintenance of required training capability to underpin the effective delivery of the use of force regime. 3.29 The AFP has upgraded its corporate systems to enable improvements in the data integrity specific to operational safety and replaces the weakness around the existing manual system. The new Operational Safety Assessment IT solution records qualifications for appointees and instructors and enables currency and accuracy of all UoF related qualifications and to ensure information is up to date. Does the AFP monitor use of force qualification status? The AFP has recently addressed a key weakness in the monitoring of the currency of appointees’ use of force qualifications, with supervisors now receiving timely notifications of the expiry of their subordinates’ use of force qualifications. Prior to October 2015, appointees were required to self-report expiring qualification to their supervisors, which did not support appropriate oversight of appointee qualifications. There is scope to further strengthen monitoring arrangements under the use of force regime in relation to the exemption of appointees from qualification requirements for medical reasons. 3.30 Under the Commissioner’s Order, appointees are responsible for returning their operational force equipment when their qualifications expire, they take extended leave, or otherwise do not require the use of their equipment. Supervisors also have a responsibility for ensuring that their subordinates return their equipment under these circumstances. 3.32 An appointee’s obligations regarding their medical suitability is outlined in the AFP’s National Guideline on Medical, Psychological and Physical Competency Assessments, which is to be read in conjunction with the Commissioner’s Order. 3.33 As part of the initial recruitment process, the AFP performs physical fitness, medical and psychological assessments of all incoming recruits, to determine suitability to become an appointee and use force operationally. Assessments are also required of appointees prior to them being assigned to specialist operational roles (such as the Specialist Response Group or child protection teams), with one to two assessments each year that they remain in such roles. 3.34 Prior to attending an OSA, appointees are required to self-report their physical and mental wellbeing via an online questionnaire, the results of which are examined by the AFP’s Health Services staff. Discrepancies or concerns identified in the questionnaire may result in the appointee being required to obtain certification of fitness from a doctor. Appointees who are unable to produce such certification are not able to undertake the OSA, and may seek an exemption from Health Services.45 The National Guideline on Medical, Psychological and Physical Competency Assessments states that any medical exemptions must be recorded on the appointee’s electronic personnel record. 3.35 Aside from the self-reporting, there is no regular formal assessment of a general appointee’s wellbeing and fitness (apart from that conducted during initial recruitment), although trainers or an appointee’s supervisor may raise issues with medical staff if an appointee’s behaviour causes concern and request a ‘fitness for duty’ assessment. Complaints made regarding an appointee may result in the AFP’s Professional Standards Unit referring an appointee for a medical assessment. Despite the presence of facilities to allow such issues to be reported, the ANAO identified instances in which appointees experiencing psychological issues were able to retain operational force equipment, reducing the assurance that procedures to remove equipment in such circumstances operate effectively (see Case Study 2). In December 2013, an AFP appointee was declared medically exempt, and was advised that she was not cleared to conduct operational duties. At the time of the exemption, the appointee had completed an OSA one month prior. Approximately three months later the appointee was temporarily deployed to a new assignment, and later, in a subsequent conversation with colleagues, indicated that her operational force equipment had been removed due to psychological issues. Concerns regarding the conversation prompted the appointee’s new supervisor to seek to confirm that the subordinate’s equipment had been removed. At this time it was discovered that the appointee’s operational force equipment (including firearm) had not been removed and she retained access to her locker. The National Guideline on Medical, Psychological and Physical Competency Assessments does not address suspension or revocation of an appointee’s use of force qualification when they are assessed to be medically exempt, however, the guideline states that a ‘medically exempt AFP appointee must be restricted from full operational duties for the duration of the exemption’. Under the Commissioner’s Order, appointees who no longer require their equipment for operational duties are to return the items. Nevertheless, in this instance the appointee continued to present for operational duty and retained her operational force equipment, including her firearm. A medical ‘exemption’ is not defined or referred to in the Commissioner’s Order, and it is not clear from the guidance materials whether an exemption and revocation have equivalent requirements. A Professional Standards Unit investigation into the conduct of the appointee did not establish a breach, due to the ambiguity surrounding the requirements of an exemption. 3.36 The effective operation of the use of force regime is reliant on robust arrangements governing the removal of operational force equipment from appointees where it is determined that their suitability to use the equipment is no longer met, for example due to medical conditions, or they no longer require such equipment due to a change in circumstances. The AFP should review its arrangements for managing the removal of operational force equipment to ensure that the risk of inappropriate retention of equipment is appropriately managed. Is operational force equipment issued to appropriately qualified appointees? The AFP has established appropriate guidance covering the issuing of operational force equipment to appointees, but weaknesses in applying the guidance has resulted in appointees being issued or retaining equipment where they are not qualified to do so. The ANAO’s analysis of AFP records indicated that 7.1 per cent of appointees were issued or retained equipment in the absence of the requisite qualification. In response to these findings, the AFP indicated that the results could partly be attributed to data integrity issues within its training and asset databases. Nevertheless, the presence of data integrity issues limits the AFP’s ability to accurately monitor the effectiveness of the use of force regime. 3.37 Operational force equipment, such as firearms, handcuffs and OC spray, are issued into the physical possession of AFP appointees. From the time an appointee becomes custodian of an item they assume responsibility for it, including accurately maintaining corporate records of the item, physically securing it, and producing it for stocktake purposes. 3.38 The AFP’s processes for issuing and monitoring issued equipment vary by the location in which the appointee operates. Within the ACT, firearms are issued by the AFP National Armoury, with batons and handcuffs issued by the International Operations Unit warehouse. In regional offices, these functions are undertaken by authorised registrars. The total number of standard operational force equipment items personally issued to AFP appointees is shown in Table 3.2. Source: ANAO analysis of AFP equipment issuance records. 3.39 Each item of operational force equipment (with the exception of OC spray46) is listed in an electronic database, which records a description of the item, the appointee that was issued the item, and its current location (among other details). When an item of operational force equipment is issued, the database entry is updated by an authorised registrar. Subsequent updates to the location of an item are the responsibility of the appointee to whom the item has been issued. The authorised registrar is also responsible for ensuring that the appointee to whom the item has been issued has a relevant, current operational safety qualification for that item. 3.40 The ANAO’s analysis of information in the AFP’s equipment and qualification datasets found that 7.1 per cent of the 3502 AFP appointees with personally issued firearms had either an absence of qualification or an expired or revoked qualification. Table 3.3 below summarises these findings. Appointees having firearms issued into their possession where a qualification was not held during the period from 2009–10 to 2014–15. Appointees having personally issued firearms with an expired or revoked qualification (as at 24 July 2015). Source: ANAO analysis of AFP equipment and training data. 3.41 The AFP informed the ANAO that there are acknowledged integrity issues with its equipment issuance records, and that some of the equipment items identified above may be of a specialist nature, and that teams trained in the use of these weapons often maintained their own training records independently of the centralised qualification database.47 The ANAO examined these training records and observed that, in many instances, the records were not complete, had not been updated, did not contain sufficient information to determine the equipment the training related to, and/or did not meet the requirements of the Commissioner’s Order.48 For example, the records indicated that 19 per cent of the specialist appointees were not qualified in the use of any weapon, and all of the remaining members had at least one qualification that had expired. 105 appointees with personally issued operational force equipment items in multiple states. travelling between locations on a regular basis (for example, travelling between capital cities), making it impractical to transport an accompanying firearm. 3.44 However, variations to the Commissioner’s Order such as point (a) are required to be recorded in a central register. The ANAO’s review of the variation register identified that records had not been retained to evidence that appointees without the full complement of issued operational force equipment items had received the required variation in accordance with the Commissioner’s Order. 3.45 The AFP further advised the ANAO that appointees with multiple operational force equipment items may be assigned these items as part of a set intended for team use, particularly in the case of appointees that have training responsibilities. The AFP’s guidance on asset management states that appointees with personally issued equipment must maintain physical possession of them at all times.50 As the storage of team items on a personally issued basis conflicts with guidance, the AFP should consider issuing such items as team-issued operational force equipment items. 3.46 The AFP’s guidance states that ‘the AFP and its appointees must be able to account for all controlled items at all times’. However, internal audits over recent years have raised issues relating to aspects of the AFP’s asset management practices.51 The AFP informed the ANAO that there are integrity issues with equipment issuance records, which potentially explains the findings relating to asset management practices. 3.47 The stocktake practices vary across AFP offices. In most locations, the annual stocktake at a point in time has been replaced by trainers performing a stocktake of an appointee’s operational force equipment at the time of their OSA, comparing equipment issuance records with the items in the appointee’s possession. Within the ACT, the National Assets Team (which is based in Canberra) performs stocktakes on behalf of ACT-based trainers, due to the larger numbers of appointees presenting for OSAs and the greater workload involved in checking items. 3.48 The ANAO observed that, while the OSA stocktakes confirmed the presence of an appointee’s operational force equipment, it did not confirm the ongoing suitability of that equipment for the appointee’s current role. For example, the ANAO observed an instance in which an appointee’s OC fog unit52 was sighted in a stocktake, but was not removed despite the appointee no longer occupying a role that required a fog unit. 3.49 The ANAO recommends that the Australian Federal Police strengthen arrangements to manage the issuance and removal of appointee’s operational force equipment to ensure that the risk of inappropriate issuance or retention is effectively managed. 3.50 The AFP has now implemented a corporate system improvement that delivers accurate and current records that will safeguard against any improper issue of operational force equipment which incorporates system generated alerts to individuals and their supervisors. This chapter examines the submission, review and evaluation of use of force incident reports, and the management and analysis of complaints by the AFP. ensuring that supervisors are reviewing use of force reports (as required under the Commissioner’s Order) and taking appropriate management action when required, including incidents where appointees have not been qualified to use the force that they have applied. Overall, complaints regarding the inappropriate use of force by AFP appointees are well managed by the AFP. There is an opportunity for the AFP to better use incident and complaints data to inform management decision-making. For example, the 70 use of force incident reports that indicated that appointees were not qualified to use force, and the 122 appointees found by the ANAO to have not had a current qualification for the operational force equipment that they had used. The ANAO has made one recommendation aimed at improving the supervisory review process relating to use of force incident reports. 4.1 The Commissioner’s Order defines the use of force incidents that are required to be reported by AFP appointees. These are summarised in Table 4.1. Note a: ‘Pyrotechnic’ devices include ‘flash-bang’ grenades and other similar diversionary devices. Are incident reports submitted as required? The AFP does not assess whether all incidents are reported by appointees as required. All use of force incidents are to be recorded in the AFP’s PROMIS database (unless appointees are in a location without access to PROMIS). The ANAO’s analysis indicated that a large number of incidents were reported outside of the PROMIS database, with these reports not analysed or included in corporate reporting. As a result, the relevant oversighting Committee/Working Group has not received complete data on the total number of use of force incidents reported. Source: ANAO analysis of the AFP’s use of force incident reports recorded in PROMIS. 4.3 Those AFP appointees that are stationed overseas and do not have access to PROMIS are required to complete a use of force report form for each incident. These forms are completed manually and vary in format, with some following a template and others consisting solely of a free-text narrative. When received, the AFP is to upload the forms as attachments to PROMIS. However, the corporate reporting tool, which provided high-level statistics on the number of use of force reports each quarter to the oversight Committee/Working Group, does not have the functionality to extract incident details from these reports and as a result they are not included in the reporting to the oversighting body. 4.4 The ANAO reviewed the 524 manual incident report forms attached to PROMIS between September 2009 and December 2015, which related to 334 separate incidents. While this format of reporting was intended for officers stationed overseas without PROMIS access, less than eight per cent involved the International Deployment Group (26 incidents), with the primary users being ACT Policing and the Aviation function. The 41 non-PROMIS reports in 2015 is the highest annual number since 2011, and included only one report relating to the use of force overseas or involving the International Deployment Group. 4.5 As the oversight Committee/Working Group is not advised of the volumes of reports submitted by this method: 44 firearm uses; 19 chemical agent uses; and three CEWs uses over this period have not been reported. To comply with the requirements of the Commissioner’s Order, the AFP should limit the use of non-PROMIS reporting to those appointees without access to PROMIS, and capture data generated from manual reports in performance reporting. 4.6 The AFP does not assess the extent to which appointees’ comply with reporting requirements to determine the extent of any non-compliance with the requirements of the Commissioner’s Order. In the absence of an assessment regime, the ANAO surveyed 354 appointees to gather their views on how compliant they considered AFP appointees were with reporting use of force incidents (noting reliability issues relating to self-reporting). In response to the question ‘members comply with AFP requirements to report use of force incidents’, 95 per cent of respondents stated that they strongly agreed or agreed with the statement. 4.7 The ANAO’s survey also sought appointees’ views on eight questions regarding awareness of those matters that are required to be reported. Eighty-nine survey participants correctly answered each question (25.1 per cent of respondents), with an overall average score of 6.82 out of eight.55 However, 31.5 per cent of respondents incorrectly believed that a use of force report would not be required if force was used to break open a car to rescue a baby.56 These results indicate that there is further scope for the AFP to promote compliance with reporting requirements. Is management review of incidents timely and effective? The AFP’s database that holds use of force incident reports does not record whether a supervisor has reviewed or endorsed submitted reports. The absence of appropriate oversight can impact on the completeness or accuracy of incident reports, with the ANAO’s analysis of use of force reports identifying 740 reports exhibiting quality issues (including reports where a narrative was not included and 70 reports that stated that not all appointees involved in an incident were use of force qualified). Further, the ANAO’s analysis indicated that there were 122 appointees who used force while they did not have the relevant qualification at the time, with no record of management action taken. 4.8 The Commissioner’s Order requires all submitted use of force reports to be reviewed by the responsible team leader. The review is intended to ensure that all reports are of high quality and contain sufficient detail57, and that all appointees involved in the use of force incident are appropriately qualified. The reviewer should also address any issues arising from the use of force, including obligatory reporting to the Professional Standards Unit for any suspected misconduct issues, or the requirement for additional training. no evidence that the supervisor or chain of command had investigated the 68 reports that had stated that not all appointees involved in the incident were use of force qualified, or the 3285 reports that did not complete the question. 4.10 The ANAO also reviewed the manual reports submitted from September 2009 to December 2015, and assessed that only 70 of the 334 incidents (21.0 per cent) recorded a supervisors’ endorsement and/or comments, with the supervisors not acknowledging the two reports that stated that not all appointees were use of force qualified, or the 163 reports that did not complete that question. Additionally, the ANAO compared the qualification records from January 2009 to October 2015 with the use of force reports for the same period (regardless of submission method). The analysis found 38 cases of appointees using force while unqualified to do so, and a further 84 cases of appointees using operational force equipment that they were not qualified in at the time of the incident (all relating to CEW uses). The AFP’s records did not evidence that management action was taken in relation to these 122 occurrences. 4.11 At the May 2013 Operational Safety Committee meeting, an action item was created for members to liaise with their operational areas to determine ‘how assurance is provided to use of force reports submitted’ and provide feedback at the next meeting. At the November 2013 meeting, the action item was amended to Committee members ‘reinforcing the importance of supervisors quality assuring reports submitted by their team… and confirming to the secretariat that the issue had been raised’. As a result, neither the former Committee nor the current Working Group has received updated information concerning the supervisor review process for submitted use of force incident reports. 4.12 The AFP advised the ANAO that it is not possible to determine whether a use of force report has been reviewed and endorsed by the team leader, nor any timeframes for the review or monitoring of unreviewed report volumes. The supervisor review was intended to cover the risk of non-compliance with reporting requirements, as well as referring officers to additional training or to the Professional Standards Unit. The absence of an effective review process or arrangements to determine whether reviews have been undertaken means that the AFP is not well placed to determine compliance with the Commissioner’s Order requirements for supervisory review. 4.13 The ANAO recommends that the Australian Federal Police ensure that supervisors document their review of incident reports and any management action taken, to demonstrate compliance with the requirements established under the Commissioner’s Order on Operational Safety (CO3). 4.14 All AFP UoF [incident reports] are linked to operational cases within AFPs operational system, PROMIS and are therefore subject to the tracking of accountability within that system. To further strengthen this, an additional measure is being taken to build a mechanism into the report to acknowledge review. Further measures will also be considered as the Operational Safety and Security Working Group reviews UoF accountability. Are complaint allegations regarding the misuse of force appropriately managed and analysed? Overall, complaints regarding the inappropriate use of force are well managed by the AFP. There is scope for matters covered when reviewing complaints to be expanded, such as currency of appointees’ use of force qualifications, and better documentation around those matters referred to the oversighting Committee/Working Group for review or action. Further, analysing trends arising from complaints data would provide a useful input into operational safety training. Breach of Commissioner’s Order 3 on Operational Safety (not relating to excessive use of force). A complaint of excessive use of force where the circumstances are unlikely to amount to serious misconduct or serious negligence. Unauthorised discharge of a conducted energy weapon. Serious breach of Commissioner’s Order 3 on Operational Safety that warrants examination as a Category 3 matter. Unauthorised discharge of a firearm. Use of force where non-approved methods or [operational force equipment] are used to affect the force applied. Any complaint made regarding excessive use of force where injury is sustained to the subject. Threatening to use excessive force against a person, which involves a weapon. Failure to secure ammunition and/or equipment posing potential danger to the public or which may damage the reputation of the AFP. Source: Australian Federal Police, Categories of Conduct Determination 2013. 4.16 Complaint Management Teams within ACT Policing and the AFP’s domestic offices located around Australia are responsible for investigating, resolving and applying outcomes61 to Category 2 complaints. The Professional Standards Unit, based in Canberra, is responsible for investigating Category 3 matters, with the final outcome determined by an adjudication panel. 4.17 The finding of a complaint or misconduct breach may be either: established; not established; withdrawn (by the complainant); or ‘discretion not to proceed’ is exercised.62 The discretion not to proceed has been used to finalise almost a quarter of use of force matters since 2010, including over 50 per cent of cases in 2012. The findings for use of force complaint and misconduct breaches from January 2010 to December 2015 are shown in Figure 4.1. Source: ANAO analysis of AFP use of force related complaints and misconduct issues by date reported, as at 24 February 2016. 4.18 The ANAO sampled 52 of the 249 finalised complaint cases (20.8 per cent) related to the use of force from 1 January 2010 to 30 June 2015. The sample covered a cross-section of complaints from all years and findings. The ANAO sample identified that a review of an appointee’s use of force qualification was only documented for complaints relating to the unauthorised discharge of a firearm, with no investigation into the currency of an appointee’s qualification documented for any other complaints regarding the use of force. The AFP advised that ‘other than for unauthorised firearm discharges, reviewing and possibly revoking use of force qualifications is not standard practice for use of force complaints’. The ANAO’s analysis of the complaints dataset and qualification records found one case of an officer receiving a complaint while unqualified to use force. However, given the 122 reported incidents that the ANAO found related to appointees without a valid use of force qualification (and a further 70 reports which stated that the not all appointees were qualified), there would be merit in the complaint investigation reviewing and documenting the currency of qualifications. in October 2014, a member reported finding equipment in an office cabinet (including batons and various ammunition) that had not been detected during previous stocktakes. in April 2014, it was observed that there was no policy or governance concerning extended use of handcuffs during interviews, and recommended that the Committee determine if guidelines can or should be implemented. 4.21 The specifics details of established cases are provided to the responsible National Manager and, in some cases, this may include practice and procedural issues that the Professional Standards Unit considers should be resolved by the functional area. The functional area is then required to report to the Professional Standards Unit on the actions taken to rectify the noted issues. However, by not highlighting these issues in an AFP-wide forum there is an increased likelihood of inconsistent practices developing across functional areas. 4.22 The Professional Standards Unit produces annual internal reports across the entire AFP.66 The reports were not specific to use of force complaints, and included: the volume of complaints submitted; the total number of cases finalised, and the number of conduct breaches finalised; the findings by breach and category; and number of formal actions documented against appointees. The reporting provided to the Working Group (as discussed from paragraph 2.18) includes specific details of established cases for the quarter, but the Professional Standards Unit does not produce additional reporting on the establishment or findings of use of force related complaints. 4.23 The AFP advised the ANAO that the internal annual reporting was ‘no longer produced on a regular basis since it was determined that producing function-specific reports on request was of more use to management’. While noting some issues with analysing complaints by functional area67, there would be benefit in the AFP analysing complaints (including use of force complaints) to determine trends in location, functional area, and use of force option which can be incorporated into the continuous improvement of the training program. Note a: Prior to the rollout of conducted energy weapons to ACT Policing in August 2011, these weapons were only used by the specialist areas of the AFP. Note b: In 2013, the ‘other’ category was replaced with the ‘accoutrement retention’ (equipment retention) and ‘disengagement’ categories. Source: ANAO analysis of the AFP’s use of force reports entered into PROMIS between 1 January 2010 and 31 December 2015. 1 Appointees to uniformed roles within the AFP are required to swear an oath (or make an affirmation) in terms prescribed by the AFP Regulations 1979 before they can exercise powers conferred on them by law. In this report, ‘appointee’ refers to both the AFP’s sworn police officers and sworn protective security officers. 2 International Association of Chiefs of Police, Emerging use of force issues: Balancing public and officer safety, Report from the International Association of Chiefs of Police/Office of Community Policing Services use of force symposium, March 2012, available from <http://www.theiacp.org> [accessed on 11 December 2015]. 3 Appointees to uniformed roles within the AFP are required to swear an oath (or make an affirmation) in terms prescribed by the AFP Regulations 1979 before they can exercise powers conferred on them by law. 4 As an AFP appointee’s attendance at a potential conflict may be sufficient to defuse the situation. 5 The Commissioner’s Order is available on the AFP’s website, with operationally sensitive aspects redacted by the AFP. 6 Lethal force is considered an option of last resort by the AFP and should only be used by appointees when reasonably necessary in the following circumstances: in self-defence from the immediate threat of death or serious injury; in defence of others against whom there is an immediate threat of death or serious injury; or only when less extreme means are insufficient to achieve these objectives. 7 Non-standard AFP firearms operationally issued include: sub-machine guns; shotguns; rifles; and non-lethal projectile launchers. 8 The AFP has calculated the annual cost of re-certifying appointees to be $13.4 million (including salary costs while attending the assessment, the administrative costs of updating training and equipment records, the lease of facilities, ammunition, and trainer costs). 9 Similarly, if an appointee’s qualification has lapsed or the appointee commences extended leave, they must return all operational force equipment as soon as practicable and stand down from operational duty. 10 Category 1 complaints relate to minor management or customer service issues, and Category 4 complaints deal with corruption issues. 11 Reports by the Commonwealth and Law Enforcement Ombudsman are available from <http://www.ombudsman.gov.au> [accessed on 26 February 2016]. 12 ‘Controlled items’ are items covered by the AFP’s National Guideline on Controlled Items, and includes operational force equipment and non-force equipment such as radios. 13 The response rate to the survey was 92.6 per cent, and the respondents represent 8.4 per cent of the AFP’s total number of sworn appointees. 14 The National Manager Workforce and Development is responsible for the Learning and Development area. 15 The AFP’s specialist units have used CEWs since 2004. 16 The ANAO identified two instances in which faults affected the deployment of a CEW while being aimed at an offender. In each occurrence, the appointee was able to resolve the issue without resorting to an alternative use of force option. 17 Prior to July 2015, the report detailed: the monthly incidents reported by functional area; the quarterly equipment and physical force options used by all AFP appointees, with a comparison to the previous quarter in the preceding years; and the types of firearm and CEW use by functional area (including: drawing; drawing and aiming; and discharging). 18 On average, 72 per cent of incidents each year are submitted by ACT Policing. 19 Project Atlas (discussed further in Chapter 3) is the AFP’s body of work to improve the user interface to the AFP’s training and equipment database, and to improve the accountability of participation on training courses. Project Atlas became operational on 7 October 2015. 20 The AFP was unable to confirm the status of the change requests in February 2016, but did advise the ANAO that no changes had been made to the corporate reporting system since October 2014. 21 The Professional Standards Unit does not analyse the number of use of force related complaint allegations compared to the reported use of force incidents, at the entity or functional level. 22 The four workplace categories distinguish between: ACT Policing; the AFP’s national duties; overseas deployments; and use of force training. 23 Part V of the Act relates to professional standards and AFP conduct and practices issues. 24 The standards reviewed included: United Nations, United Nations Code of Conduct for Law Enforcement Officials (1979); United Nations, United Nations Guidelines for the effective implementation of the Code of Conduct for Law Enforcement Officials (1989); United Nations, United Nations Basic Principles on the Use of Force and Firearms by Law Enforcement Officials (1990); Australasian Centre for Policing Research, National Minimum Guidelines for Incident Management, Conflict Resolution and Use of Force (1998); and Australia New Zealand Policing Advisory Agency, Australia New Zealand Police Use of Force Principles (2013). 25 The six Strategic Risk Profile risk categories are: safety and wellbeing of our people; operational outcomes; workforce planning and management; support capability; our reputation; and business continuity. 26 Operational-level risk assessments inform the higher lever risk registers, but are not captured in a standalone risk register. 27 The AFP defines ‘controlled items’ as operational force equipment and non-force equipment such as radios. The AFP has advised that systems and processes have been strengthened in response to these findings, and the identified instances were referred for investigation, with deactivation/write-off action underway. 28 ‘Handling’ refers to an appointee’s ability to safely operate and maintain a firearm, including knowledge of the firearms’ various safety features, responding to malfunctions, and basic maintenance techniques. ‘Marksmanship’ assesses an appointee’s ability to accurately discharge their firearm at a target under various conditions. 29 The introduction of instruction components adds inconsistency to OSA assessment, as the extent to which trainers choose to provide additional guidance is discretionary. 30 Appointees may only perform two firearm marksmanship attempts per day. Should an appointee fail two attempts, the trainer is required to remove their firearm, and return it when the appointee presents to conduct their remaining attempts. 31 The ANAO conducted the survey for a six week period and received survey responses from a total of 354 appointees who had attended one of 39 OSAs. The response rate to the survey was 92.6 per cent, and the respondents represent 8.4 per cent of the AFP’s total number of sworn appointees. 32 The ANAO identified that the form used by trainers to record assessments varied by office location, reducing assurance that changes to assessment processes are updated uniformly across regions. 33 The first-attempt pass rate of surveyed appointees varied by location, with the lowest observed being 62 per cent in Sydney. Nationally, 18 per cent of surveyed appointees pass on their second attempt, four per cent on the third attempt, and less than one per cent on the fourth attempt. 34 The highest rate of surveyed appointees surrendering equipment was 12 per cent in the ACT. 35 The ANAO observed that large OSAs, such as those held in Canberra, can require several hours to complete firearm marksmanship assessments for all participants. Appointees who require a second attempt add to this time requirement, and those who require more than two attempts must then be accommodated on the second day of the OSA around other tasks. 36 For example, in addition to OSAs in regional Western Australia, Perth-based trainers travel to Darwin, Alice Springs and Adelaide to assist OSAs in those locations, while appointees in Tasmania travel to Melbourne to complete their OSAs. 37 Trainers who are sworn are required to maintain their OSA qualification. Unsworn trainers are not required to do so as they are not permitted to carry operational force equipment. 38 Some AFP firearms (such as the standard issue Glock pistols) are capable of being carried in several types of holster. The standard issue holster attaches to an appointee’s belt, while other holsters may be designed to attach to the thigh or be concealed under clothing. Appointees must undertake a separate firearms assessment with each holster they are issued, as the dynamics of drawing a firearm vary by holster type. 39 The AFP advised the ANAO that it considers the trainer for the OSAs in question to be qualified to instruct and certify appointees in CEWs; however, this qualification was not recorded in the training database. 40 Composite allowances are annualised allowances paid fortnightly to appointees in recognition of the working hours, patterns of attendance or shift patterns required by a role. Employees working the ‘operations’ or ‘rostered operations’ work patterns are eligible for a core composite allowance of 22 per cent. 41 The ANAO interviewed the other seven Australian state and territory police forces and found that only two had a similar rotation policy for trainer equivalent staff. 42 While the AFP has advised that lead-free ammunition is used by the AFP, this may not be the case for all ammunition fired at facilities used by the AFP. 43 The AFP informed the ANAO in February 2016 that there is no formal process surrounding this, but medical testing of trainers will be conducted if the trainer self-reports that it is needed in the medical forms for their annual use of force qualification assessment. 44 Supervisors can now also monitor their subordinates qualifications and operational force equipment through the employee management portal of the training and asset databases. 45 A medical exemption is a waiver granted by an AFP health practitioner to an appointee, restricting them from participating in OSAs for a specified period of time. Exemptions are granted when a medical, psychological or physical condition is likely to present either a risk to the appointee, or unacceptable liability for the AFP, with the risks being present either when undertaking the OSA, or in the safe performance of operational duties (including being a risk to co-workers or members of the public). 46 OC spray is managed as a consumable item and not an asset. AFP armouries record the serial number of each issued OC spray canister, along with the appointee’s AFP identification number, on a spreadsheet to record the issuance of these items. 47 One of the reasons for this practice is that prior to the implementation of Project Atlas, the AFP’s qualification database could only record six firearm qualifications per OSA. Many specialist appointees have more than six firearm qualifications. 48 The Commissioner’s Order requires that the operational safety qualification state the classification of the firearm or equipment, the name of the relevant AFP appointee, date of issue, and expiry date. 49 The AFP’s guidance states that appointees should only be issued with one standard issue firearm, unless authorised to do so. It does not offer guidance on the issuance of multiple non-firearm items. The ANAO identified a total of 290 appointees with more than one baton, and 90 appointees with more than one set of handcuffs. 50 Unless stored or transported in accordance with the Commissioner’s Order or asset management guidance. 51 A 2015 internal audit found that the governance arrangements for assets had not been adhered to and that 20 employees in the preceding three financial years had ceased employment with the AFP while still in possession of controlled items (the AFP advised that deactivation/write-off action is underway). A 2013 audit had similarly found that there was no formal mechanism to ensure assets were returned once qualifications lapsed or officers were on extended leave, and that the annual stocktake did not always correctly update the location and possession of a firearm. 52 OC fogging units disperse OC agent in a wider area of deployment than the standard issue units provided to most AFP appointees, these units are designed for crowd control situations. 53 PROMIS cases are generated for all AFP investigations and arrests. A new PROMIS case may need to be created for the circumstances surrounding a use of force incident, if the use of force was unrelated to a current PROMIS case. 54 The Aviation function accounted for 15.5 per cent of all reports, with the remaining 12.4 per cent comprising among other functions, Crime Operations, International Deployment Group and Protection. 55 Five appointees received the lowest score of three out of eight questions correct. 56 Nineteen per cent of respondents who incorrectly answered this question identified themselves as team leaders, suggesting that they would not request a use of force report for such an instance from their subordinates. 57 The AFP describes a good use of force report as being: a succinct description of what occurred; a good description of thought processes and considerations; a good account of actions; linked back to the Commissioner’s Order; and not ‘cut and pasted’ from the associated apprehension report. 58 Of the 297 cases included in the dataset, 73 per cent (218 cases) were received from members of the public, 22 per cent (66 cases) were from fellow AFP officers, and the remaining 13 cases (four per cent) were self-reported. 59 Category 1 complaints relate to minor management or customer service issues, and Category 4 complaints deal with corruption issues. 60 The categories of misconduct were amended in July 2013, making analysis into longer-term trends in individual complaint categories not possible. 61 Outcomes of established complaints are benchmarked against the severity of the complaint, and may include mentoring, personal development activities, warnings or dismissal. 62 Section 40TF of the Australian Federal Police Act 1979 provides discretion to the Commissioner’s delegate to take no further action in relation to a complaint that raises a conduct or practice issue. Discretion not to proceed can be exercised for several reasons, including if the information: is older than 12 months; is frivolous or vexatious; is not given in good faith; is given by a person without sufficient interest in the issue; or is not warranted. 63 In July 2015, a new final report template for complaint investigations was introduced that separates learnings and actions from improvements to training. It was also agreed that recommendations from complaint investigations would be more robust if feedback was provided to either the Learning and Development area or Operational Safety Training area to be included in continuous feedback processes. 64 According to the adjudication report, the trainer was unqualified at the time of the unauthorised discharge in July 2011. However, the AFP’s training data provided to the ANAO shows that he received his shotgun qualification in April 2011. 65 The five practice and processes issues included: ensuring that blank and live rounds are not included in training boxes with inert rounds; auditing the storage areas for training and dummy rounds; qualifying OSTs in that location on the shotgun; range operating procedures need to be updated as shotgun shells can no longer safely be accommodated; and consideration should be given as to whether pistol and shotgun handling tests are safe to undertake within the range control area. 66 The AFP also advised the ANAO that the same reporting was produced for complaints relating to ACT Policing, the Aviation function, International Deployment Group, and the Protection function up until 2013–14. 67 Any trend analysis on complaints by functional area should be used cautiously as breaches are usually recorded against the location or functional area of the complainant (due to limitations with the current complaint management system), rather than the work area responsible for the appointee at the time of the incident (which if on temporary assignment or working outside their substantive area may be different).